We are a group of researchers, clinicians, engineers, artists and gamers who are passionate about virtual, augmented and mixed reality (summarized as extended reality - XR). While many of us invest our lives in using XR for good causes like rehabilitation, education, and training, anybody is welcome here. We share our experience, best practices, standards and simply help each other out. Our main goal is to get XR in the hands of as many people as possible. xr.community was founded by Sebastian Koenig and his company Katana Simulations. 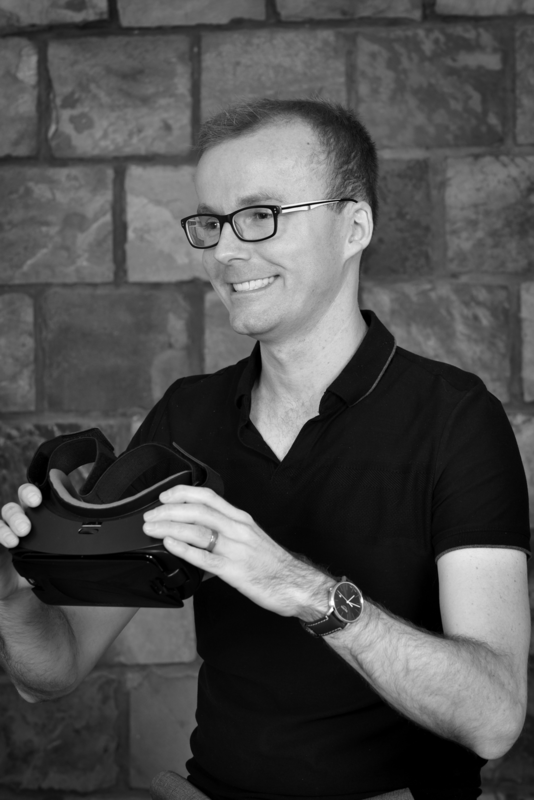 Sebastian is a psychologist and Human Interface Technology engineer who has published many journal articles, tutorials, and reviews about virtual reality and simulation development in virtual rehabilitation over the past ten years. Sebastian is joined by great mentors and brilliant researchers such as Professor Albert 'Skip' Rizzo, Professor Pedro Gamito, Associate Professor Belinda Lange, and Dr. Denise Krch who lend their experience and help our community. Whether you have a technical question, need help with a project, seek career advice, or simply want to find XR tools for clinical use, come on in, talk to us, check out all community resources, and send us a message. We're happy to help.